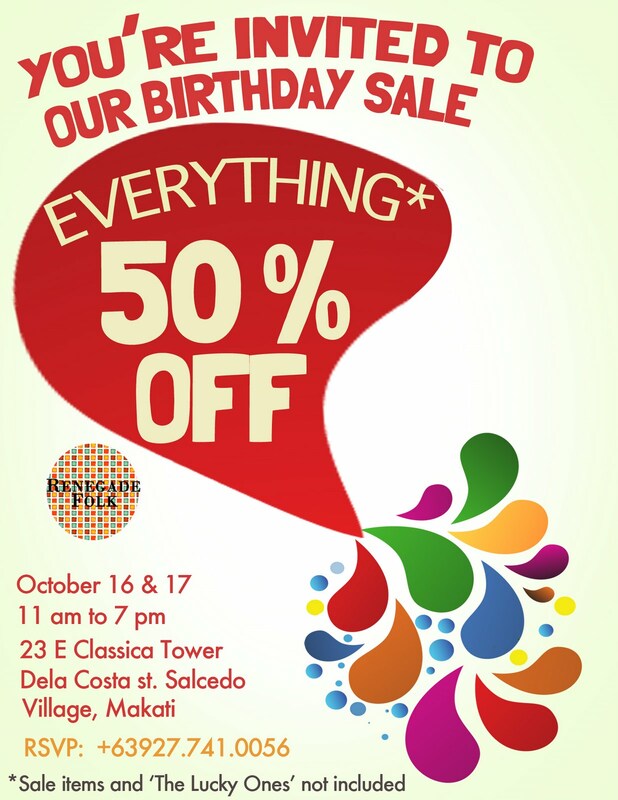 Since it's our BIRTHDAY, we are treating you to the most exciting event of the season! 50% OFF on all our most coveted pairs! This happens only once a year guys! It is a PRIVATE SELLING EVENT by INVITATION ONLY. 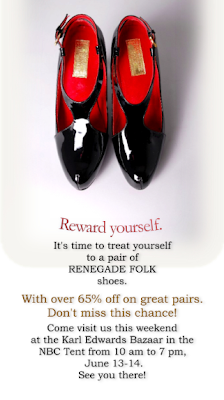 All our followers and fans will automatically get a free invite and be the first to get a hold of Renegade Folk pairs at 50% OFF! Tip: Want a better chance of winning? Renegade Folk at Rockwell's Moonlit Bazaar! We are still on SALE! 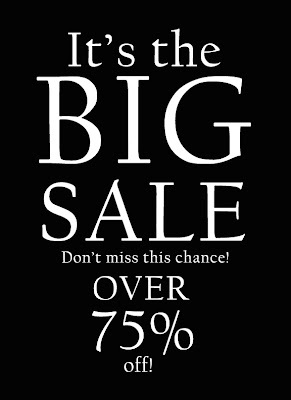 Old collection is at 50%-70% off! See you at the Karl Edwards Bazaar this weekend! 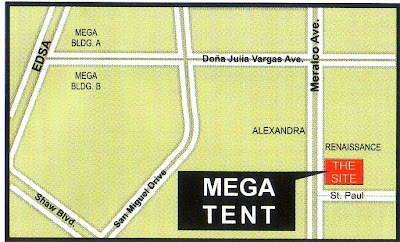 Join us on April 17-19 at the Mega Tent on Meralco Ave.! 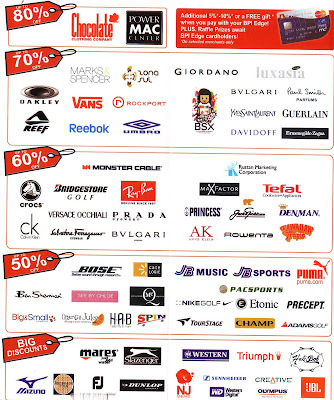 Don't miss the chance to get big, big discounts! before we run out of stocks! Don't miss our Christmas Promo! Go to this weekend's bazaars! Blog Entry Pre-Christmas Shopping at the Urban Bazaar! See you at the Rockwell Urban Bazaar this weekend, Oct. 24 from 12nn to 8pm and Oct. 25 from 10am to 8pm! 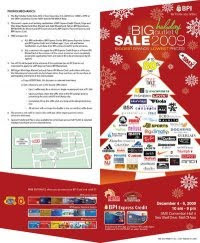 It's the perfect time to shop for the Christmas season. Be the first to get a hold of our new pairs! PUTTING UP a halo-halo stand at fifth grade, selling packed lunches and drinks to schoolmates in high school and selling shoes with friends in college were some of the business adventures that led Maria Regina Sambalido to where she is — the owner of fashion retailer Renegade Folk. 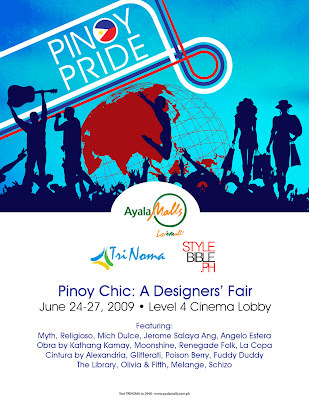 "My partners and I decided to pursue this particular business because we were all craving for unique and stylish yet affordable shoes. We wanted to introduce a local brand which will offer a range of well-crafted, trend-setting shoes that will not cause a huge dent on your wallet. We are focused on making them accessible for everyone," she said. 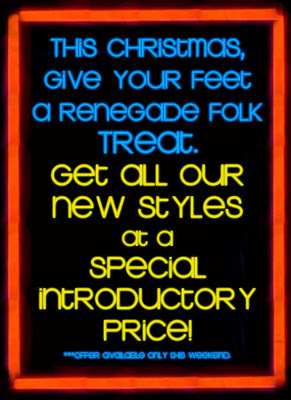 Renegade Folk sells high-street fashion shoes for women. 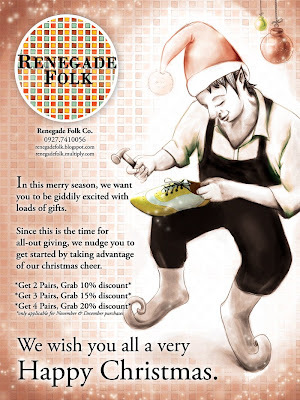 A 24-year old Business Management graduate from the Ateneo de Manila University, Ms. Sambalido started Renegade Folk in November last year at the St. James Bazaar in Alabang. "We chanced upon some incredibly appealing shoes during one of our trips abroad. Given our penchant for unique shoe designs, we decided to go for it and give it a try," she said. To distinguish the brand from the rest of the fashion flock, Ms. Sambalido employed some marketing basics. For one, she made sure that the name of the business will stand out. "We wanted it to be something which the market will relate only to us and no one else," she emphasized. She also based the shoes’ labels on popular song titles to give them some character. And while the brand carries designs that follow the latest trends worldwide, Ms. Sambalido also makes it a point to introduce styles which are individual and uncommon. Ms. Sambalido had always wanted to be a businesswoman ever since she was in early grade school, saying that every time she goes into a store that has a different concept and great vision, she always fervently wishes that she owned it. "I have very high respect for those who were able to cradle their business and see it through its absolute fruition." Brave, uncompromising and distinctive businesses, she said, never fail to inspire and encourage her. Being a young and relatively inexperienced entrepreneur has its drawbacks. According to Ms. Sambalido, she had a lot to learn about being a hands-on proprietor. "It is very important to keep efficiency at its maximum since it greatly affects both our productivity and profitability. Otherwise there will be significant consequences to our business which will probably translate into low sales and low profits," she explained. Despite this, she believes that occasional glitches are essential to the success of a business, but it is equally important to keep a positive outlook. "I just make sure that every solution will be sustainable and that the same problem won’t be encountered again." Ms. Sambalido also learned the importance of a vision. "It cannot be overstated how a vision unites a company and gives it a common goal to work for, while allowing the market to understand a brand and what it is offering." She added that it is just as important for aspiring entrepreneurs to be open-minded and uncompromising. "Don’t make concessions just because it is the status quo. The market will be more grateful for your courage to be different. Follow-through," she advised. "As they always say, ’under-promise and overdeliver’."